Creative Labs are the masters of sounds cards. They released their very first sound cards back in 1987 and since then, their name has gone on to become synonymous with high quality audio for PC gamers. 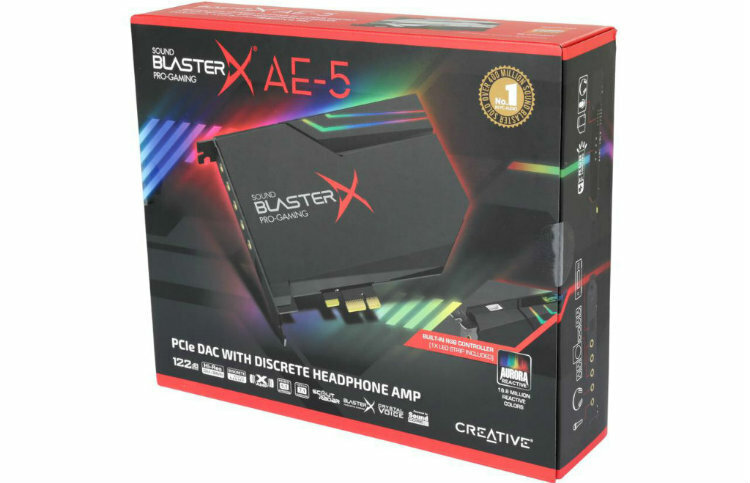 Creative have released of a pro gaming sound card called the Sound BlasterX AE-5. With hopes to revive dedicated sound cards, Creative has decided to focus on the eSports arena and pro gamers. Let’s take a look to see what the Sound BlasterX AE-5 has to offer pro gamers and the eSports crowd.